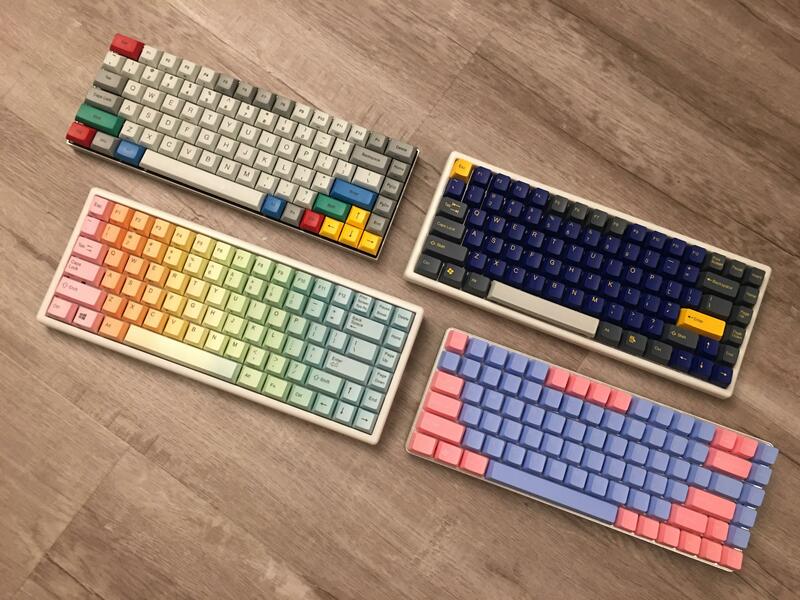 Although they just recently resurfaced into fashion, mechanical keyboards have been around for a while, a good while longer than their rubber dome counterparts, in fact. Older computer users will probably remember them from systems like the Commodore — together with the satisfying “click” they used to make whenever you pushed a key. In the late 80s and early 90s, the mechanical IBM Model M was the keyboard of choice for most gamers and office workers, it’s tapping noises filling internet cafes and cubicles the world over. What changed? Most experts agree that the only reason the mechanical keyboard got all-but replaced was the higher manufacturing (and purchase) cost, which started to weigh more and more as a factor as computers became more ubiquitous and the competition to provide cheap and affordable home PCs got steeper. 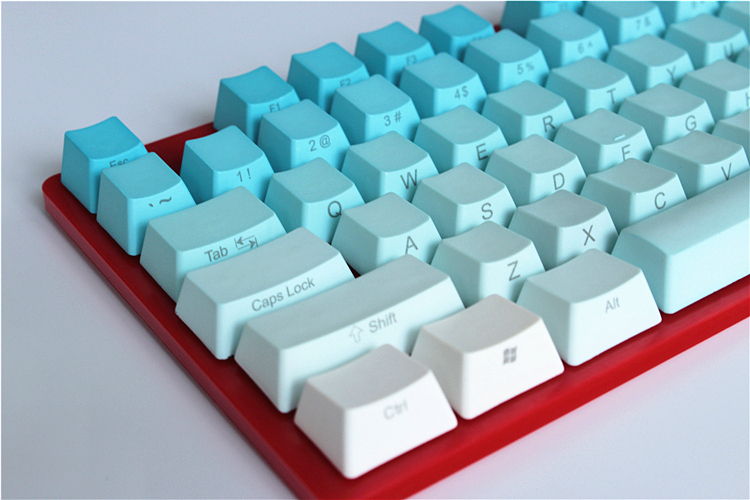 All the other advantages (which we will discuss below) that the switch keyboard has to offer over the membrane system still apply, however, and a new generation of computer users started appreciating them as more suitable to their typing needs. A number of companies either never ceased producing them, or reintroduced their older mechanical models, making for an increased number of options available today on the market. The short guide below aims at providing a few criteria to have in mind when choosing between them. Both gamers and office workers are spending more and more time at their computers, putting a strain on the keyboard with constant or nervous typing. Since neither category is too keen on buying a new device every other year, endurance becomes a big factor to consider. This is the area where a mechanical system shines the brightest compared to the more ubiquitous membrane one, and it does so thanks to its construction. In a membrane keyboard, you have two over-imposed plastic foils with circuitry running through them. When a key is pressed, a rubber dome at the end of it pushes on the circuitry below, creating an electrical connexion in that area of the foils, which corresponds to a certain letter. In a mechanical system, each key is a self-contained unit, with its own electrical switch that activates via copper plates. This makes for an overall sturdier build in two ways. Besides being naturally more resilient, with a lifespan rated in the tens of millions of pushes, the electrical switches in a mechanical keyboard can be replaced individually if one of them breaks down. If the same thing happens to a membrane keyboard — which btw. is rated at only around five million pushes per lifetime — you might as well throw the whole thing away. For people that use the same set of keys a lot — say, the W,A,S,D grouping — that 5 million pushes lifespan is dramatically reduced, making it more than well worth it the added cost paid for a mechanical keyboard. And this is our first piece of advice for gamers: before purchasing a mechanical keyboard, make sure that individual keys for the unit are easily available for sale. All the best keyboards reviews seem to take note of another unique advantage the mechanical construction offers, namely the unmistakable feeling you get in your fingers when pushing down to make the connexion. This can vary depending on the manufacturer, and it can add a good dose of character to an individual model. Mechanical keyboard users tend to appreciate this a lot and can get a sort of attachment to their typing implements, akin to the typewriter users of yesteryears. There’s also, of course, the unmistakable clicking sound, which can be both welcomed and undesirable. Some manufacturers offer “silent” versions of their products, for those who work in crowded office spaces or who don’t use headphones and might find all the clicking bothersome. The clicking, however, has the added practical benefit of letting you know exactly when the electrical connexion was made. With a little practice, this will allow you to reduce the time spent on any individual key to a minimum, potentially increasing your typing speed. A mechanical key will always push a little deeper than its rubber ended counterpart, so it might take a little getting used to until pick typing efficiency is reached. But once that happens, the mechanical keyboard is generally found to work a little faster than a membrane one since it gives better tactile and sound cues to the user. A slight issue would be the user’s fingers tiring more easily, due to the generally higher key travel. This is usually countermanded by proper typing technique, but if you are especially prone to it due to small or stubby fingers, we recommend to look for a model that offers as little key travel as possible (since not all mechanical keyboards are made the same). Another slightly less obvious contributor to typing performance is the machine’s weight. Lighter keyboards, especially newer and sleeker ones tend to easily slide off if we type with a certain degree of force. This will never happen with a heavy mechanical unit, although the same weight will make it harder to carry around. Another thing people appreciate mechanical keyboards for is their looks. They tend to be tall, and even if not intended so, always have a retro feel to them. If you’re particularly fond of the 80s and 90s clean design, the coolest vintage keyboards, such as the Model M, might still be around thanks to their incredible resilience. Even if you don’t manage to get your hands on one, most manufacturers opt for the same restrained looks for their mechanical models. With the lower palm-rest section removed and the internal mechanism exposed they resemble something out of the original Alien film, with a gritty 70s feel to them. Steampunk visuals can also be easily accommodated, due to the lack of plastic and rubber foils to work around. All in all, they make for some cool-looking keyboards.